"He had in his hand a short Sharpe's cavalry carbine. I think he had just fired as I reached Colonel Washington, for the Marine who followed me into the aperture made by the ladder received a bullet in the abdomen, from which he died in a few minutes." - From the account of Lt. Israel Greene who led marines in the capture and arrest of John Brown and his raiders at Harpers Ferry on October 18th, 1859. The Irish immigrant who gave his a life to protect the security of a nation, and his adopted homeland, on that day was Pvt. Luke Quinn of the United States Marine Corps. He was the first of many brave sons of Ireland that would fall on both sides of America’s epic struggle to define and protect our basic beliefs in human freedom and the rights of man. At the battle of Fredericksburg, three years later, men who had shared a common dream of a free and independent Ireland would raise musket and rifle against each other. On December 13th, 1862, after several failed Union assaults on Marye’s Heights just west of the city, the Irish Brigade, under the command of Brig. Gen. Thomas Francis Meagher, would answer the call to try and take the high ground away from the Confederates. By chance they would attack an area defended by their fellow Irishmen in Col. Robert McMillan’s 24th Georgia infantry. 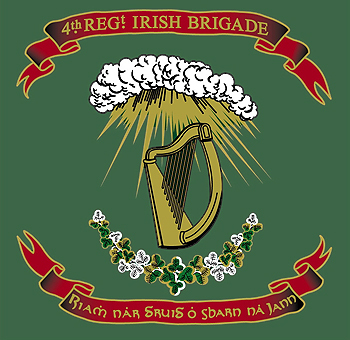 Men on both sides of the line were members of the Irish Republican Brotherhood, a secret fraternal organization that sought to gain military training and experience so that they might carry out a campaign to liberate Ireland from British rule after the Civil War. Some had even participated in the failed Irish Rebellion of 1848. At Fredericksburg southern forces would greatly diminish the ranks of the Irish Brigade. Of the over sixteen hundred troops that advanced on the heights on December 13th, only 256 men would be able to take to the field on the following day—but their daring and valor would not go unnoticed by their foes. In a letter to his fiancée, Gen. George Pickett said this about the actions of his celebrated adversary, "Your soldier's heart almost stood still as he watched those sons of Erin fearlessly rush to their death. The brilliant assault on Marye's Heights of their Irish Brigade was beyond description. Why, my darling, we forgot they were fighting us and cheer after cheer at their fearlessness went up all along our lines." 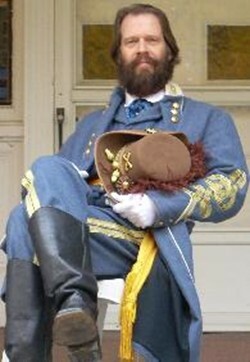 And by more than one historic account of the battle, Robert E. Lee awarded the moniker of “The Fighting 69th” to the brigade as a result of their resolve and tenacity during the engagement. In reality though, the brigade at this point in the war consisted of more than just the men of New York’s much lauded 69th, which had already established a reputation as an effective fighting force in part because of their cohesive rear guard action during the Union Army’s mostly mudded and disorderly retreat after the drubbing at The First Battle of Bull Run. The unit now included these other volunteer infantry regiments: the 63rd and 88th, also from New York, the 28th Massachusetts and the 116th Pennsylvania. And under the battle cry of “faugh a ballagh”, meaning “clear the way”, the Irish Brigade would distinguish itself on the battlefield until war’s end. 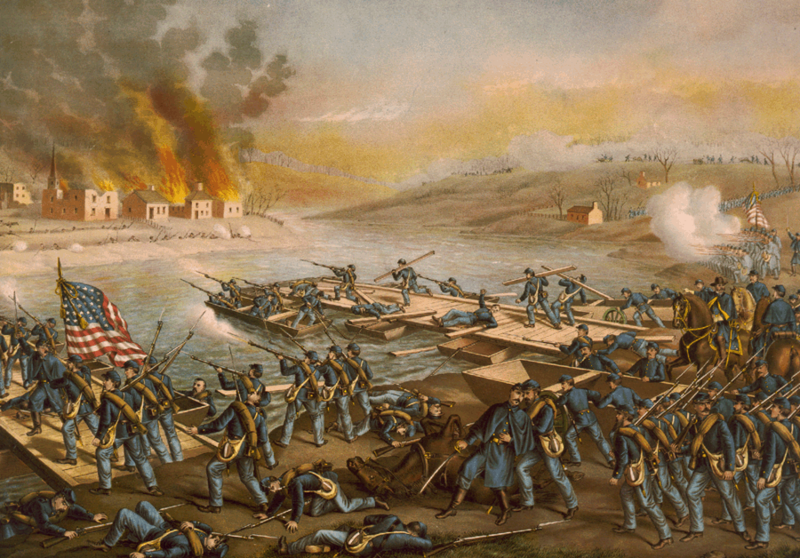 A rather romanticized read of history in some circles might bring one to conclude that without the presence of the Irish in the Army of the Potomac the outcome of the war may have been very different. The fact of the matter is that on both sides of the conflict Irish immigrants only accounted for an estimated three percent of able bodied combatants. So why the storied recognition of their service above other groups that had sacrificed and gave as much for the Union’s cause? For one, the idea of an active unit built around any particular ethnicity was somewhat in conflict with the Federal Government’s point of view. But since so many of the Irish were sympathetic to the notion of southern secession, likening it to their own efforts to gain Ireland’s independence from Great Britain—it was thought that allowing them to form their own regiments, along with the promise of enlistment bonuses, extra rations and Catholic chaplains would keep the North’s largest immigrant population in the Union’s fold. Mr. Lincoln understood that it was far better to have those that had suffered through famine, poverty, prejudice and the policies of an overbearing government fighting for you—rather than against you. Furthermore, the presence of battle hardened regiments filled with this plucky lot still harboring a bit of a grudge against the Brits might also deter England from intervening on behalf of the Confederacy. Through four years of bloodshed and brutality the rebel yell was countered with an exuberant “faugh a ballagh”—as the Irish Brigade cleared the way at the “Bloody Lane” at Antietam, the “Sunken Road” at Fredericksburg, and the “Wheatfield” at Gettysburg. So it is only fitting that we remember and pay tribute to those Irish that fought and fell during America’s Civil War. 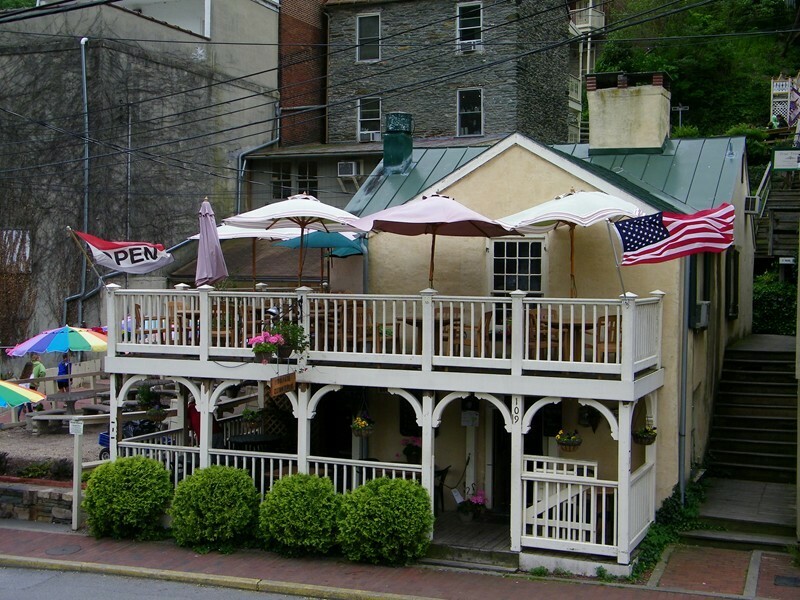 And while visiting Harpers Ferry, West Virginia, I strongly suggest a stop at that very pleasurable historic taproom and eatery named in honor of that first fallen son of Erin. There at Private Quinn’s Pub, one can properly raise a glass of an excellent local craft beer to the fighting Irish, and all those that stood their ground—so that others could stand their round! Special thanks to Rick Garland of “O Be Joyfull” of Harpers Ferry for providing additional historical background information.